Free water is always welcome. Especially the past couple days with it being so hot. But that's no excuse to waste water either. In this case I was letting it run waiting for it to cool down. 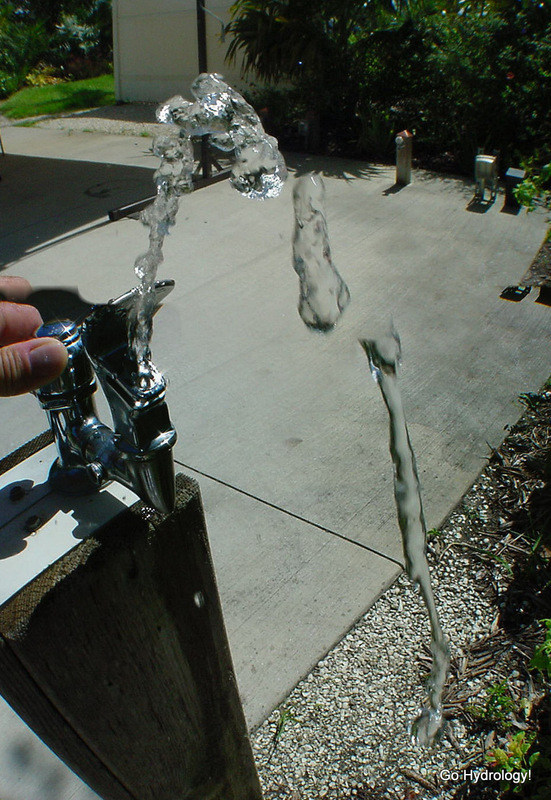 Great photo: stopping the water like that! I hope the fountains don't go away! If more people used them, maybe there wouldn't be so much pollution in the oceans! With the temperatures I've been reading about in Florida, I'm sure that water was welcome. Great photo of the arrested water stream!